PCI students take part in a variety of testing and assessment in support of their learning while gauging their learning progress. Below are some the tests in which students participate throughout the school year. Smarter Balanced (SBAC) testing for students in grades 3-8 and grade 11. California Science Test (CAST) field testing for students in grades 5, 8, and high school. We encourage all students taking the Smarter Balanced tests to get familiar with the practice tests. They are available on the following link: Smarter Balanced Practice & Training Tests. For the best user experience, it is highly recommended to download and use CAASPP’s Secure Browser. Please download the secure browser for the correct operating system by clicking on the link above. For help understanding your child’s CAASPP’s score, watch this video. All students enrolled in grades five, eight will be administered the CAST field test. High school students will be selected by grade to participate once (i.e., grade ten, eleven, or twelve). This new assessment is aligned with the California Next Generation Science Standards. 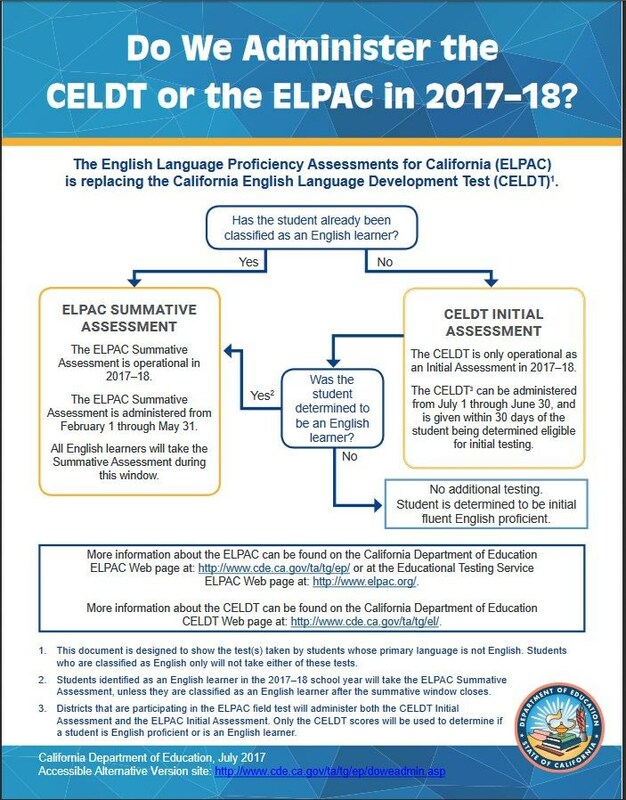 More information on the CAST test is available on the California Department of Education’s website. During the Fall and Winter, our grades 3rd-11th students take a MAP® Growth™ test from NWEA® on a computer or tablet in Reading, Language and Mathematics. MAP Growth tests are unique in that they adapt to your child’s level of learning. These tests provide immediate and accurate information about your child’s learning with a detailed picture of what your child knows and is ready to learn—whether it is on, above, or below their grade level. Teachers explain the reports to parents and students and then connect the dots to specific lessons and resources. It is individualized, timely, and useful information focused on a student’s growth! Each year public schools in California are required to assess all 5th, 7th, and 9th grade students in physical fitness. As an independent study (non-site based) school, this puts us in a unique situation for testing our students. We must rely on families, teachers, and administration staff to work together to complete this task. At Pacific Charter Institute, students may complete testing at a resource center, in a small group with their homeroom teacher, or with parent oversight. Families completing testing on their own will have guidance from their child’s homeroom teacher. Click here for the parent guide to the physical fitness test from the CDE. For further information on Physical Fitness Testing (PFT), please contact Nicole J’Beily, Assessment Coordinator at njbeily@heritagepeak.org or (866) 992-9033, ext. 3006.